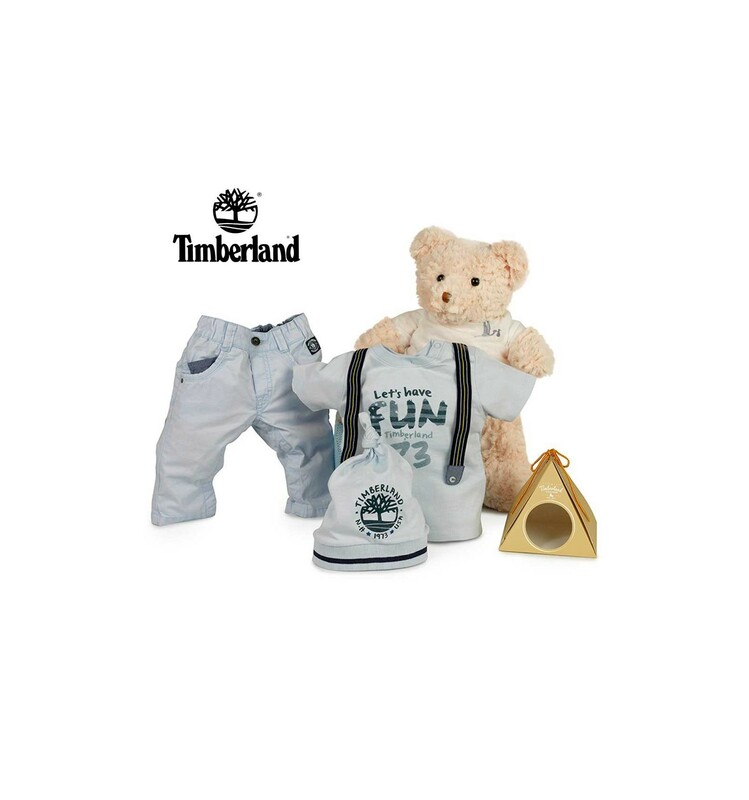 Casual style hamper for your Timberland baby. 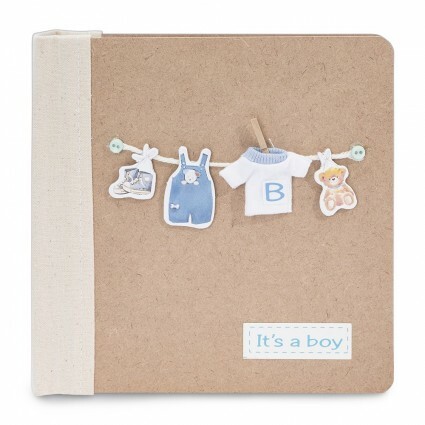 A baby collection especially created for having a lot of fun and a great time with mum and dad! Timberland trousers with 5 pockets. Light blue with Timberland metal buttons and rivets. Hidden popper buttons on trouser legs for easy dressing and changing. Elasticated waistband. 3 front and 2 back pockets with Timberland detail. 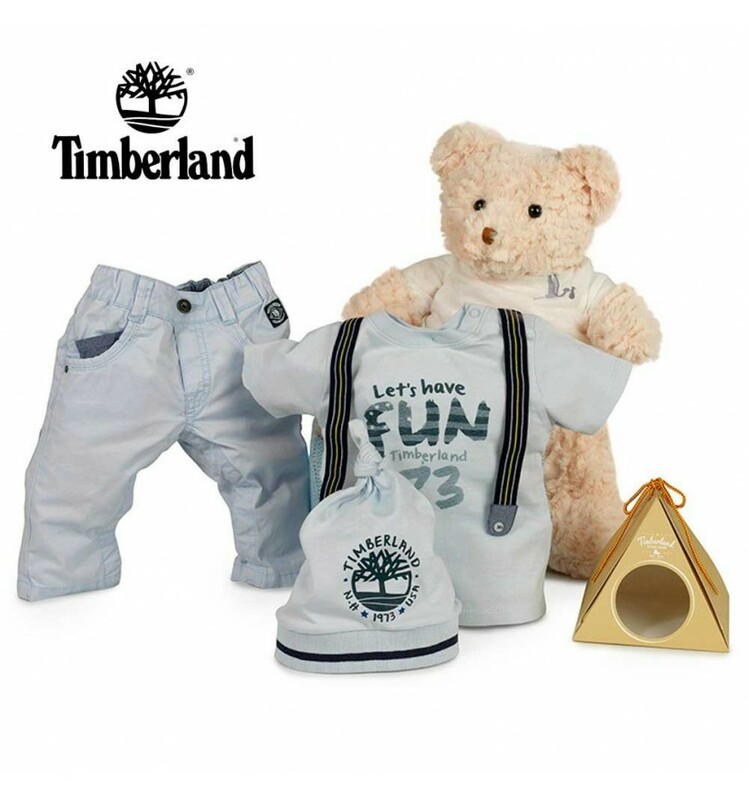 Timberland Fun T-shirt. Light blue with text "Let's have Fun" printed in grey. Navy blue braces with white and yellow stripes, denim finishing touches with white buttons. Popper fastening on shoulder. Composition: 100% cotton. Size: 6 M - 67 cm. Timberland 1973 hat. Classic cotton hat, light blue. Elasticated with navy blue stripe. Timberland logo in the front, navy blue. Composition: 100% cotton. Size: 44 - 6 M. Includes Timberland presentation box.